Interested in writing nonfiction or historical fiction for children and young adults? 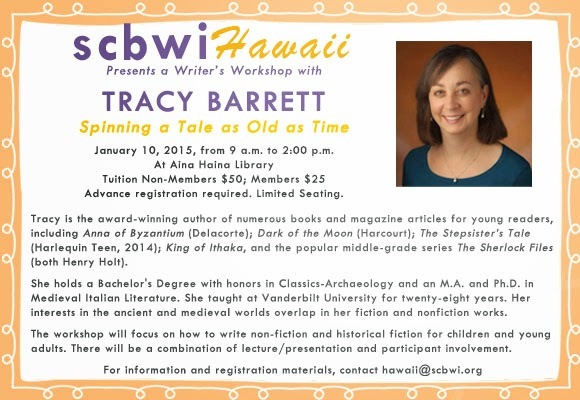 Tracy Barrett, an award-winning author of numerous books and magazine articles for young readers, will be holding a writer's workshop on January 10, 2015 at the Aina Haina Public Library. The workshop will be a combination of lecture/presentation and participant involvement. Tracy holds a Bachelor's Degree with honors in Classics-Archaeology from Brown University and an M.A. and Ph.D. in Medieval Italian Literature from the University of California, Berkeley. She taught at Vanderbilt University for twenty-eight years. 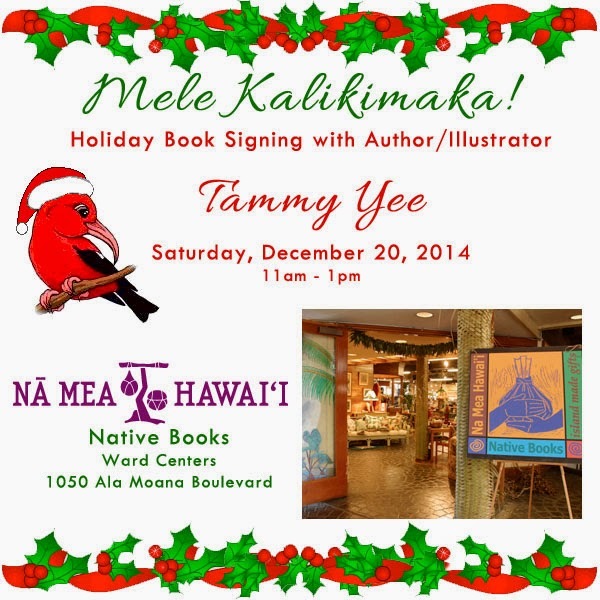 Her scholarly interests in the ancient and medieval worlds overlap in her fiction and nonfiction works. A grant from the National Endowment for the Humanities to study medieval women writers led to the writing of her award-winning young-adult novel, Anna of Byzantium(Delacorte). Her most recent publications are Dark of the Moon (Harcourt) a YA retelling of the myth of the minotaur, King of Ithaka, a YA novel based on Homer's Odyssey; the popular middle-grade series The Sherlock Files (both Henry Holt) and The Stepsister’s Tale (Harlequin Teen, 2014) which received starred reviews from both Publisher’s Weekly and Kirkus and was a PW Book of the Week.